Giant-Size Geek: Fifteen Comic & Fantasy Artists That Stuck With Me: Frazetta, Adams, Kirby and more! Fifteen Comic & Fantasy Artists That Stuck With Me: Frazetta, Adams, Kirby and more! Fifteen Artists who've influenced you and that will ALWAYS STICK WITH YOU. List the first fifteen you can recall in no more than fifteen minutes. Jack Kirby. How could any list not start with the King? I mainlined the King's comics in double doses in the 70s, first through the reprints of the Fantastic Four, while concurrently reading his Fourth World books at DC. 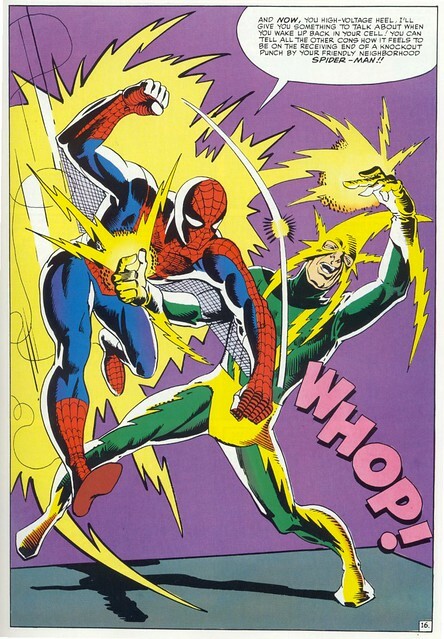 John Romita Sr. One of the major reasons for Marvel's success and the guy I always identified with Spidey. Steve Ditko. Of course when I read the reprints in Marvel Tales, I got a whole new trippy take on Spidey and Doctor Strange. There probably wouldn't have a been a Marvel without both Ditko and Kirby helping out Stan Lee. Gil Kane. He bended and twisted both his figures and his panels in ways we had never seen before. He drew countless covers for Marvel, which he might probably disown, but I think most of them are great. Neal Adams. The hottest artist in the early 70s, a book with his artwork immediately raised the price of any back issue. I would buy a comic just for 1 cover or pin-up with his work on it. 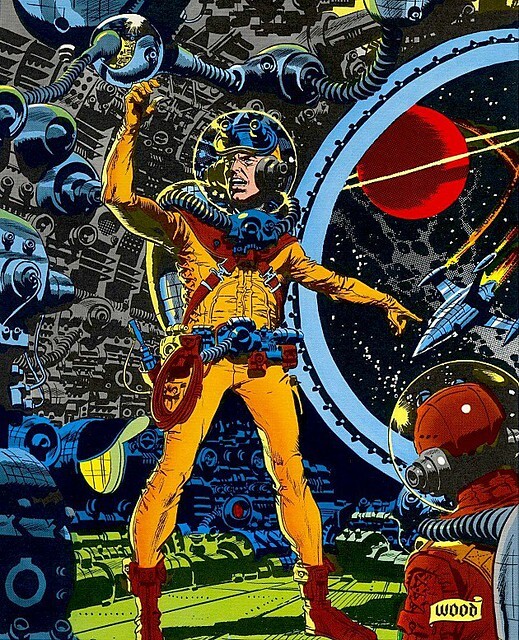 Wally Wood. Master of pen and ink and highly detailed imagination. He should have worked more and met a very tragic end. 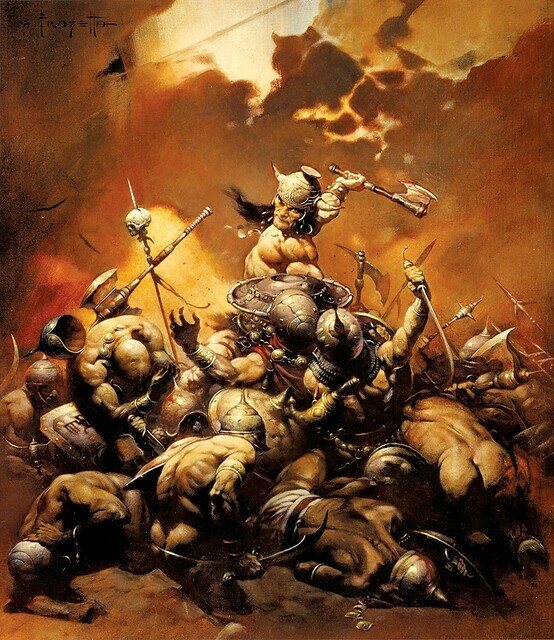 Frank Frazetta. He sold me on Conan and Warren Magazines like Vampirella with his paintings alone. Gene Colan. Master of shadows and light, Colan's greatest problem was that inkers misunderstood him. When he teamed with Tom Palmer on Doctor Strange and Tomb of Dracula, he had someone who understood how to render his pencils. Colan's Daredevil was also top notch. Barry Smith. Started out as a Kirby clone and over the years morphed into one of the finest fantasy artists around. His swan song on Red Nails is one of the best conceived Conan stories ever done. Alex Toth. Shadows and light, Toth was a master of that as well as story telling. 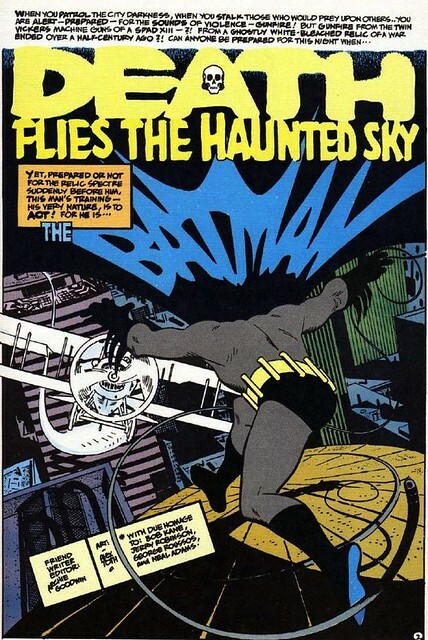 His work was few and far between but I'll always remember his work on Hot Wheels, Black Canary, and this Batman story from Detective Comics #442. John Buscema. He hated superheroes but at times like this one (Silver Surfer #4) he drew them so damn well. His work on Conan was his real love and pushed that title to new heights. Joe Kubert. 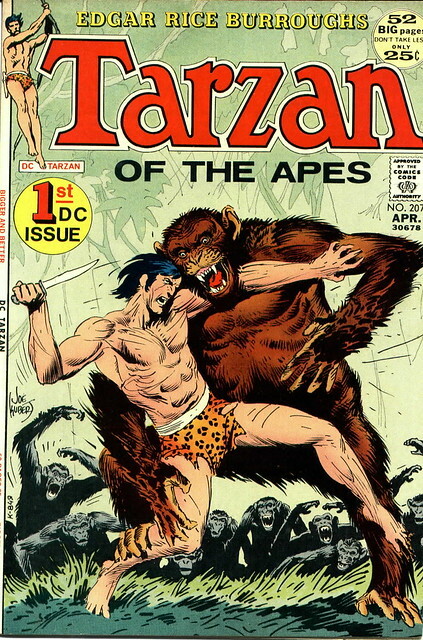 His work drew me to the Edgar Rice Burroughs works like Tarzan, but later I had much fun collecting his run on Enemy Ace. 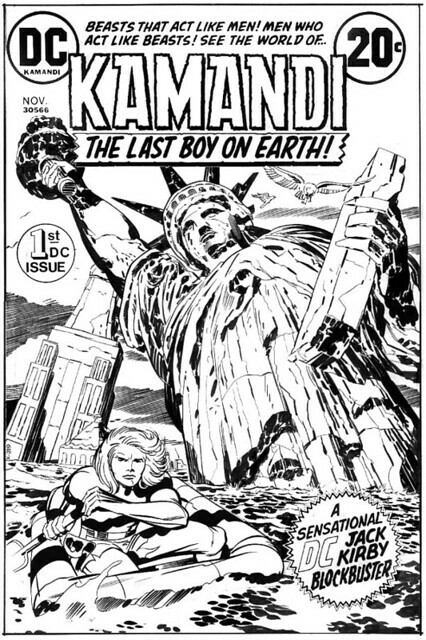 A Kubert comic was an escape from the world of superheroes into worlds of adventure. 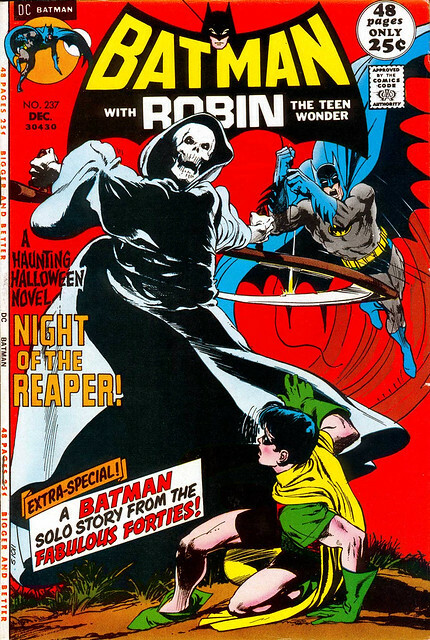 Jim Aparo. His brooding style of artwork made Phantom Stranger come alive and Brave and the Bold worth getting no matter who the co-star was. A solid artist who seemingly never missed a deadline. Howard Chaykin. I had followed Chaykin throughout many titles in the 1970s: The Scorpion, Cody Starbuck, Dominic Fortune, the Star Wars adaption, and Stars My Destination. 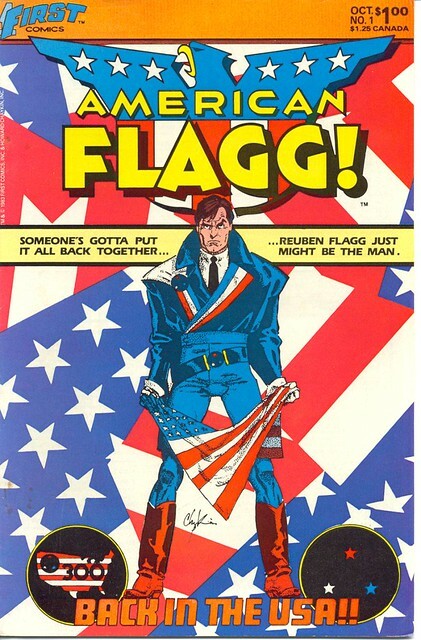 I could never figure out why he wasn't a superstar, then when American Flagg came out I was not only thrilled to read it but to see it was a big hit. Jose Luis Garcia-Lopez. 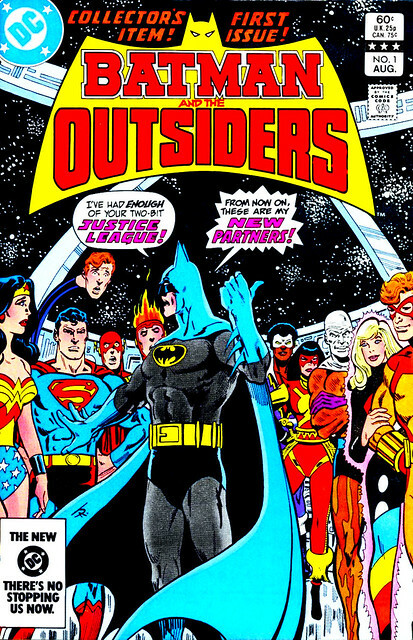 Whoever discovered Lopez for DC Comics (was it Joe Orlando?) made a find akin to a huge gold deposit. He could draw any of DC's characters in an elegant and exciting manner. It was the video game tie-in Atari Force that gave me the biggest thrill, followed by his work on Cinder & Ashe and Twilight. Hard to name just 15! Let's make it 17. I would have to also add...Berni Wrightson. 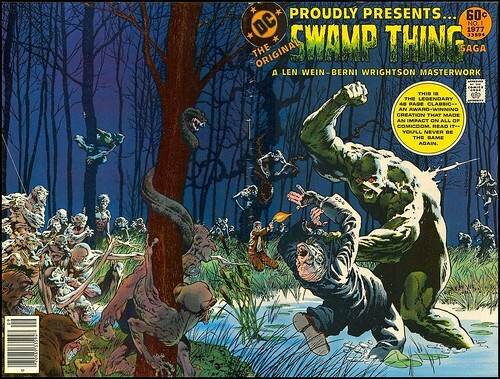 His work on Swamp Thing, various stories for Warren Magazines Creepy / Eerie, plus his Frankenstein portfolio were all superb. ...and Will Eisner. 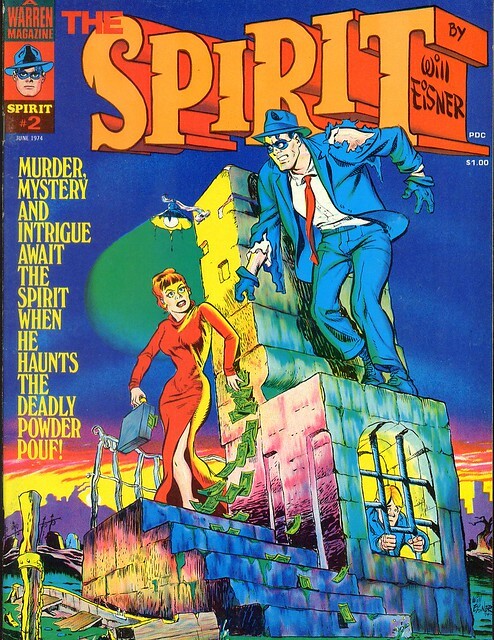 Eisner made the streets of Central City drip with water, slime, and corruption in the Spirit. Logoforms with the Spirit letters on title pages, femme fatales, and lots of humor. The fact that I got turned onto this work in the 1970s was a little gift from Jim Warren's magazines. Heck, I probably should have included Walt Simonson, too. I think if you look at my choices, they all have very distinctive styles. No one is really trying to copy each other, although many of them did have the same influences, such as Milton Caniff, Hal Foster, and other newspaper comic strip artists. 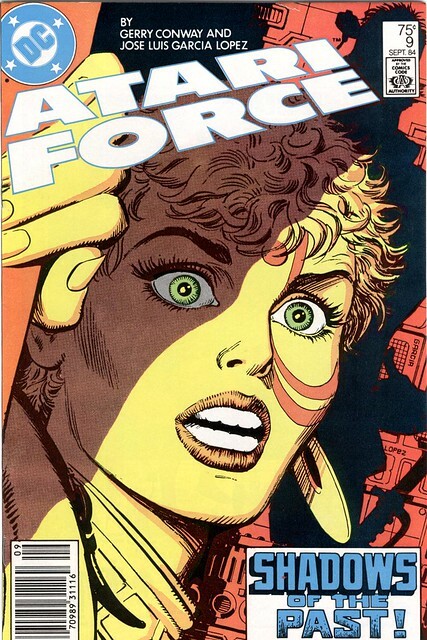 Most of them were in their prime during the late 60s and 1970s, with Chaykin being the exception to that--he really hit his stride with American Flagg in the 1980s. These were honestly the first guys who came to mind--the artists I encountered before I turned thirteen. Funny that this list didn't include any 80s artists that I admired like Frank Miller, John Byrne, Michael Golden, Art Adams, etc. Nuff Said! Again, I was looking at artists who influenced me the most (which is why there are a couple editorial cartoonists on the list). Mostly Bronze Age artists, but a couple modern-era indie artists make the list, too. I did a post a couple years back about my favorite Bronze Age artists that spells out why I love most of these guys so much. Neal Adams. Gil Kane. John Buscema. Great list. I'm right there with you on all of them. I would probably sub a few here an there, but it's hard to argue with any of them. George Perez comes to mind, and I would probably include Joe Sinnott, even tho' he was "just an inker."